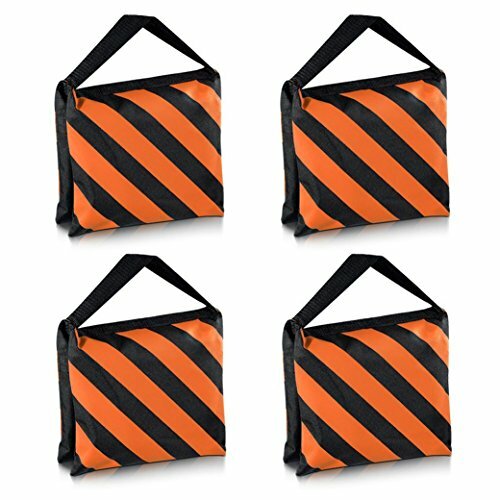 Each bag: 9 "x 10"
Useful with boom arms, light supports, tripod, etc. Sandbags are useful in the study, in order to stabilize their lights. Saddlebags designed for easy operation. Can hold up to 20 kg of sand. Extremely durable professional sandbags of heavy construction. Double compartments as double rack for each subject. This bag comes empty and can be filled with gravel, sand, stone, or other material, add weight. It is used to stabilize the totems of celosia tripod support bases and / or lighting devices. Please note: the camera and tripod not included, sandbag only.